Guests can look forward to participating in up-close explorations of the majestic beauty and fascinating history and culture of America’s Last Frontier. Ventures by Seabourn will be a highlight of an exciting schedule of 11-, 12- and 14-day ultimate Alaska itineraries on board Seabourn Sojourn scheduled from June to October 2019. Natasha Hanson, Assistant Expedition Leader / Lecturer – An avid outdoors woman Natasha has guided kayaking and hiking excursions in remote areas of the world. As a general naturalist with over a decade of experience in the Polar Regions, she has shared her knowledge with guests of various expedition ships. Adam Jenkins, Assistant Expedition Leader / Lecturer – Adam has engaged in myriad adventures at sea, including single-highhandedly sailing a 27-foot sloop down the Pacific Coast and back up the East Coast to Nova Scotia. He long ago found his calling leading expeditions and working with adventure travelers and scientists. 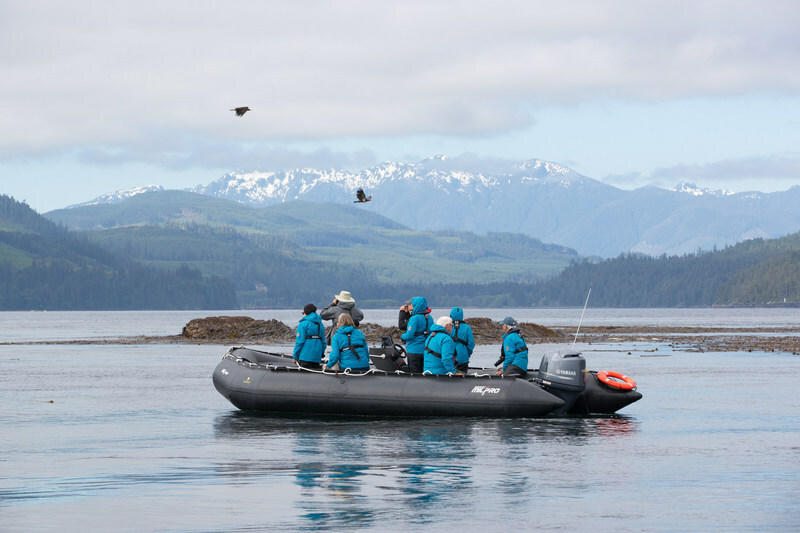 Seabourn Sojourn’s 2019 season in Alaska & British Columbia provides ultra-luxury comforts together with on board programming including Seabourn Conversations, a complimentary enrichment lecture and presentation series, and wildlife watching on deck. The unique voyages combine Alaska’s most popular ports with rarely visited hidden gems of the Inside Passage and British Columbia, including destinations such as Alert Bay and Klemtu.